Walsh University has announced the appointment of four new administrators and the transition of two staff members into key leadership roles effective immediately. Walsh University has appointed Derrick Wyman to the newly created position of Associate Vice President for Strategy and Planning. Reporting directly to the President, Wyman will serve as Chair of PARC, the Primary Strategic Planning Committee of the University, which is responsible for overseeing Walsh’s five-year strategic plan. In addition, Wyman will serve as a co-director of the Renacci Center for Civic Engagement, sharing responsibilities for the Center’s programming with Associate Dean of Experiential Learning Rachel Hosler. Wyman joined Walsh in 2009 and brings more than 10 years of experience to this position in the fields of fundraising, strategic initiatives, project management and community outreach. He was instrumental in the establishment of the Renacci Government Scholars program in 2013 and the Renacci Center for Civic Engagement in 2017. Prior to Walsh, Derrick Wyman served as Special Assistant to the President and Government Relations at Ursuline College in Pepper Pike, Ohio, from 2009 to 2015. Wyman serves as a Board of Directors member for Summit Academy and on the Alumni Board of his alma mater, Central Catholic High School. Past community involvement also includes the Board of Directors for Pathway Caring for Children. He was honored as a 20 Under 40 Professional Leader by the Canton Regional Chamber of Commerce in 2008. Derrick Wyman ’06, ’10, is an alumnus of Walsh University where he earned his Bachelor of Arts in Government and Foreign Affairs and his Master of Business Administration. Derrick and his wife, Angela, have two children, Gabriel and Josephine, and reside in North Canton. Walsh has named 1994 alumnus Daniel Passerini, Ph.D., as the University’s new Director of Development. Dan will replace former director Carl Musille who retired in June. In this position, Dan will be responsible for the creation and execution of major gift fundraising plans for capital and endowment gifts to the University. In addition, he will oversee the Walsh Advisory Board. A longtime supporter of Walsh University, Dr. Passerini brings more than 20 years of corporate experience and community involvement to his role as Walsh’s Director of Development. His experience comprises managing and leading multiple successful businesses in a wide range of industries including a consulting firm that provided professional training services for Fortune 100 companies, an oil and gas drilling company, a startup drug development company and a logistics/trucking company. He earned his Bachelor of Science in Biology from Walsh and his Doctorate of Biochemistry from The University of Akron, where he was a graduate student teaching intern. Dr. Passerini’s involvement with his alma mater Walsh University has included serving as an adjunct professor from 1995-2002 and collaborating on several research and development projects with the Division of Mathematics and Sciences. 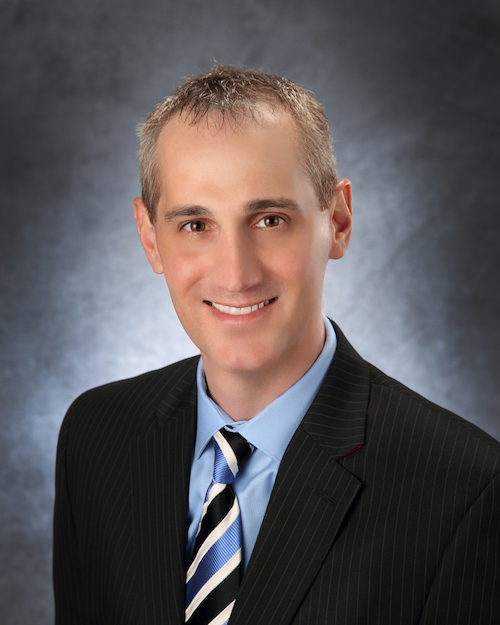 Dr. Passerini resides in Jackson Township with his wife and their three children. Abigail Poeske has been named to the newly created position of Director of Career and Experiential Education. 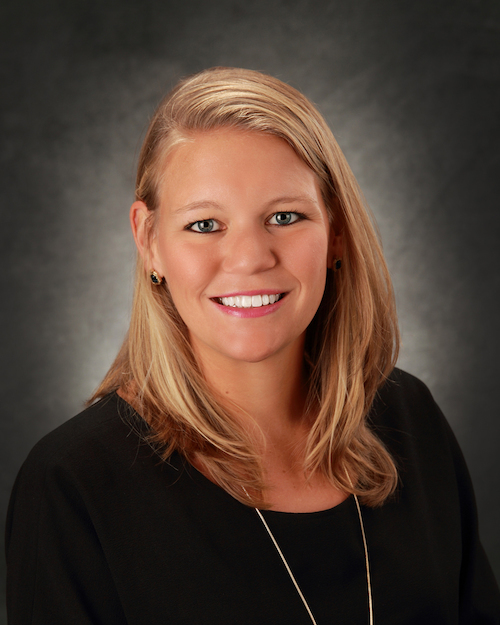 As a member of the Experiential Learning Team, Abby will foster student career readiness and development, as well as hands-on experiences and connections to the community in ways that contribute to students' lifelong career success. Abby has served as Walsh’s Director of Service Learning since 2017. In her new role, she will lead the Career Center and Service Learning offices. Her new position reflects the shift in purpose for the Career Center to advance Walsh’s goal of engaging students in curricular and co-curricular experiences that lead to career competencies, preparing Walsh graduates for the workforce. Poeske brings to this position more than five years of experience nationally and internationally in community outreach, student development and experiential learning-based program coordination. Abby joined Walsh in 2016 as Director of Student Life at the University’s campus in Castel Gandolfo, Italy. She earned her Master of Business Administration degree from Walsh University and her Bachelor of Arts in Education from The University of North Carolina-Chapel Hill, where she was awarded the Buckley Public Service Scholar Award for Community Service and Academic Honors. Walsh alumnus Teresa Klimek ’16 has been appointed the University’s new Service Learning Coordinator. In this Experiential Learning Team role, she will be facilitating the day-to-day service learning responsibilities. In her new position, Teresa will be responsible for facilitating mutually beneficial service opportunities between Walsh and the community as an educational tool in the advancement of course learning outcomes and student development. These hands-on learning projects foster civic responsibility and support the Walsh University mission to educate students to become leaders in service to others through a values-based education. During her time at Walsh, Teresa was an active member of the Blouin Global Scholars Program tackling hunger issues both local and global. As a Blouin, Teresa was instrumental in hosting the 2014 Ohio Hunger Dialogue, launching the 2015 Campus Kitchens program on campus and also participated in the International Food Waste and Hunger Summit in 2017. Teresa earned her Master of Education in Community Engagement from Merrimack College in North Andover, MA, during which she served in a year-long graduate fellowship as the Service Learning Coordinator for North Shore Community College. Beth Johnson joins Walsh as the newest member of the Experiential Learning Team as Career Coordinator for the Camelot Music Career Readiness and Development Center. Johnson brings nearly 10 years of experience in public service. She worked in Washington, D.C., with USDA’s Foreign Agricultural Service managing food safety programs overseas where she discovered her passion for international travel. She then moved to Guatemala where she volunteered with local nonprofits and was hired as Director of Development with De la Gente where she fundraised for and managed quality control and microfinancing programs for coffee growers. Her return to the U.S. brought her back to northeast Ohio where she was most recently Volunteer Coordinator/Americorps Volunteer at the International Institute of Akron (IIA). In this role, she has managed volunteers and interns as well as other projects for IIA. Beth earned her Bachelor of Arts in Political Science from Kent State University. Sarah Sowers brings more than seven years of public accounting experience to Walsh University. As Controller, she will be responsible for the management and supervision of the University Finance office staff and day-to-day operations. Her role is to ensure the efficiency of daily operations of the Finance Office, monitor compliance with the University budget and oversee accounts payable and payroll as well as accounting of the general ledger accounts and tax filings. Sarah earned her undergraduate degree in accounting from the University of Mount Union and her Master of Business Administration degree from Walsh University. She resides in Plain Township with her husband, Taylor, and son, Carter.